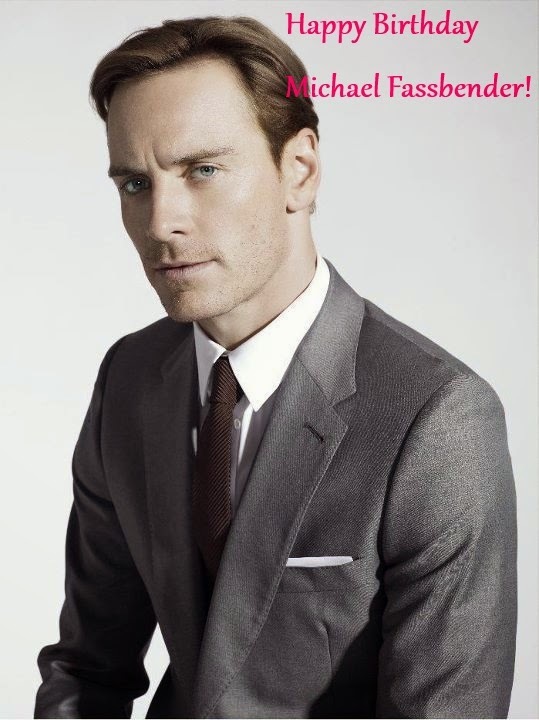 Fassinating Fassbender - A Michael Fassbender Fan Blog: Happy 38th Birthday Michael Fassbender! Happy 38th Birthday Michael Fassbender! Today is Michael Fassbender's 38th birthday! After a successful FF fundraiser in his honor, now it's time to celebrate him. I don't know about you, but Michael Fassbender is the only actor I pay very close attention to. We're lucky to be enamored by an actor as versatile, talented, and charismatic as Michael. I'm naturally motivated to put all my effort into Fassinating Fassbender because I really adore the man. It's going to be an exceptional year for Michael because he will have at least three films coming out this year alone. Right now, Michael is still very busy in San Francisco working on the Steve Jobs film, and he'll be there for the next two weeks. So it's my hopes that he is able to take a break and enjoy this special day! Happy Birthday Michael! Read the Birthday Fundraiser certificate sent to him (click here). Once more, thank you to all the donors who raised £903 for The Bike Experience. Dianne daSilva!!! a sweet Fassinator I've had the pleasure of meeting at TIFF 2013! Gabriel Leal, our resident gorgeous male Fassinator! The fundraiser and Fassinating Fassbender would not be what it is without supporters like you and everyone else who donated! Wow, thank you so much! What an awesome way to start the morning. Happy Birthday to Michael! Gabe and Dianne, please email me your mail address information. Thanks!